The Los Angeles Film Festival hosted the Public Enemies premiere. The Michael Mann film stars Johnny Depp, Christian Bale and Oscar winner Marion Cotillard. 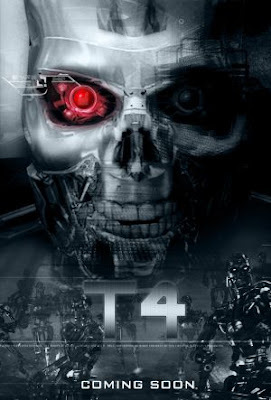 Tuesday, May 12, 7:00 p.m.
Terminator Salvation opens in theaters on Thursday, May 21. 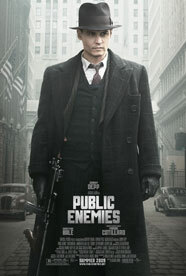 Michael Mann’s new movie Public Enemies starring Johnny Depp is the centerpiece movie of the Los Angeles Film Festival. The festival runs from June 18 – June 28. Public Enemies (DIRECTOR Michael Mann WRITERS Ronan Bennett and Michael Mann & Ann Biderman PRODUCERS Kevin Misher, Michael Mann CAST Johnny Depp, Christian Bale, Marion Cotillard, Jason Clarke, Rory Cochran, Billy Crudup, and Stephen Dorff) – In the action-thriller Public Enemies , acclaimed filmmaker Michael Mann directs Johnny Depp, Christian Bale, and Academy Award® winner Marion Cotillard in the story of legendary Depression-era outlaw John Dillinger (Depp) — the charismatic bank robber whose lightning raids made him the number one target of J. Edgar Hoover’s fledgling FBI and its top agent, Melvin Purvis (Bale), and a folk hero to much of the public. The Dark Knight went five for five and was named Favorite Movie at the 35th Annual People’s Choice Awards, which returned to its usual star-studdedness Wednesday after an ’08 broadcast held at the height of the actor-supported Hollywood writers’ strike. The film was also rewarded Favorite Cast, Action Movie and Onscreen Matchup, which spotlighted Christian Bale and Heath Ledger. Bale was also named the year’s Favorite Superhero. 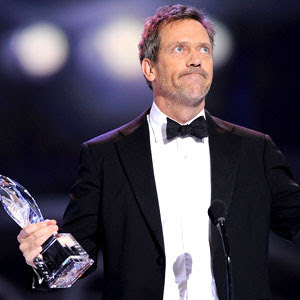 Favorite TV Drama award went to House. Host Queen Latifah, apparently not burned out by last year’s celebrityless awards show, returned as host of the event at Los Angeles’ Shrine Auditorium and later helped accept the award for Favorite Movie, Drama, with some of her Secret Life of Bees costars. The honoring kicked off with an only-in-L.A. moment, as Ellen DeGeneres stepped in to present the award for Favorite Funny Male Star (to Adam Sandler) in place of a tardy Kate Hudson. Carrie Underwood and Rascal Flats provided the musical entertainment for the evening. • Song From a Soundtrack: “Mamma Mia” by Meryl Streep, from Mamma Mia! LOS ANGELES – How heroic. 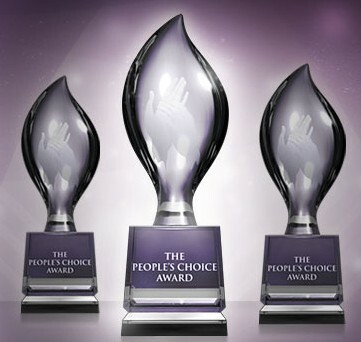 “Iron Man” will battle “The Dark Knight” and “Indiana Jones and the Kingdom of the Crystal Skull” for favorite movie at the 35th annual People’s Choice Awards. “CSI: Crime Scene Investigation,” “Grey’s Anatomy” and “House” are nominated for favorite TV drama and “Two and a Half Men,” “Ugly Betty” and “Samantha Who?” are nominated for favorite TV comedy. Queen Latifah will host the viewer-voted awards show, to air live Jan. 7 from the Shrine Auditorium in Los Angeles. Awards will be presented in over 40 categories, including favorite new TV drama, talk-show host, rock song, on-screen matchup and leading lady. New categories include favorite superhero, TV drama diva and movie cast. Nominees also include Christian Bale, Brad Pitt and Mark Wahlberg for favorite leading man; Anne Hathaway, Kate Hudson and Queen Latifah for favorite leading lady; Steve Carell, Jim Carrey and Adam Sandler for favorite funny male star; and Ellen DeGeneres, Tina Fey and Whoopi Goldberg for favorite funny female star.